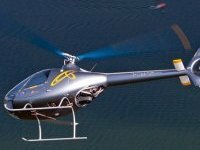 Product review: heli experience – by Mariam, 18 Jan 16 5/5 Excellent "Fixing the date was a Piece of cake. Very easy to arrange. And the weather was good. Getting there was no problem as directions were clear. Once there, The facility was excellent. Staff was very friendly and took their time explaining what would happen. The equipment was up to date. My husband had a little bit of fear but after breifing was much relaxed. No words can be put in writing the thrill of this experience! Absolutely loved it and would recommend anyone for birthday gifts for spouses! We got photos and filmed at every stage when they took off and landed. It was very lovely and would do it again! " A 30 minute trial lesson in the 2 seater Cabri G2 helicopter, which also includes a full ground and safety briefing and certificate. Fixing the date was a Piece of cake. Very easy to arrange. And the weather was good. Getting there was no problem as directions were clear. Once there, The facility was excellent. Staff was very friendly and took their time explaining what would happen. The equipment was up to date. My husband had a little bit of fear but after breifing was much relaxed. No words can be put in writing the thrill of this experience! Absolutely loved it and would recommend anyone for birthday gifts for spouses! We got photos and filmed at every stage when they took off and landed. It was very lovely and would do it again!